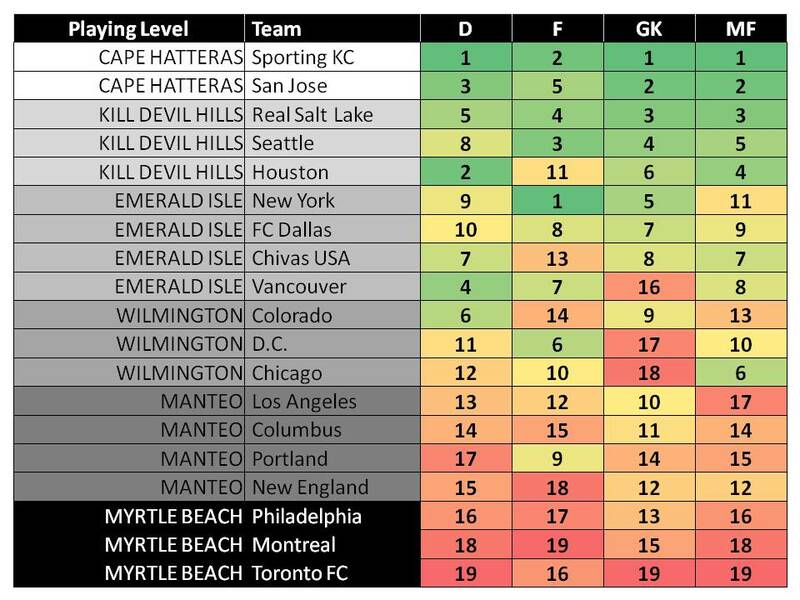 Sporting KC, San Jose and Salt Lake (maybe Seattle too) are locking in at the top. FC Dallas is Mr. Steady, holding down the 'slightly above average' team. Columbus, Philly, Montreal and Toronto are settling down at the bottom. Funny how they have all played each other already. The Crew have Houston this weekend. Early preview; Houston isn't blowing anyone's hair back (3 goals in 4 games) but solid wins over a revived San Jose and resuscitated Chivas. Crew Stadium allowed 4 at home last time. If opportunity has ever knocked, then it has done so here... for the Dynamo.